We are recognized among the major Oil and Gas Fired Thermal Fluid Heater Manufacturers in India. 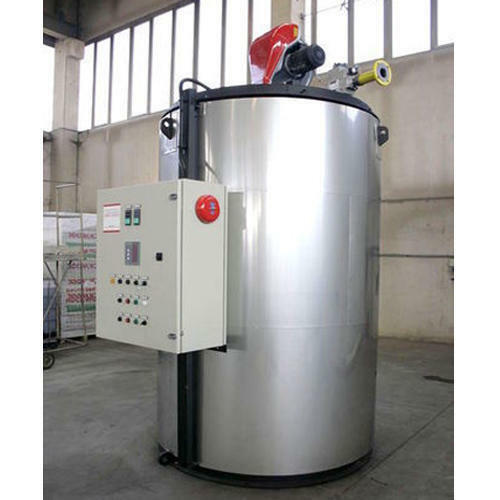 The Oil and Gas Fired Thermal Fluid Heaters offered by us are accessible in vertical and horizontal types. They have the burner control of Single Stage, Two Stage, and Step Less Modulating. Coil Type: 50,000 to 5,000,000 kcal/hr. Fuels: LDO, HSD, FO, LSHS, Natural gas, LPG, Biogas. Single Button Start / Stop with Automatic Control with Safety features. No explosion hazards due to coil design.